FASB ASC – 842 is already slowly rolled out by publicly held companies whilst privately held ones still have an extra year to prepare although they must already comply with it for the fiscal year after December 15, 2019. There certainly are advantages to preparing early for this roll-out because accounting standard updates like this one require a series of steps before going live. First, companies must look at their reporting processes. Second, they might need to rewrite certain guidelines and procedures. Third, they might also need add or revise their use of GL accounts. Fourth, they might even need to modify some integration of transactions to GL as well as revise their internal audit processes. Last and certainly not the least, there needs to be retraining and testing before officially rolling it out. This accounting standard update basically now demands the inclusion of operating leases´ liabilities and assets on lessee companies´ balance sheets in addition to capital leases. Both the lessor and lessee companies have changes they need to comply with. This change needs ample preparation because for some companies, the changes to their balance sheets can be quite drastic. One of the reasons why this is the case is because operating leases have been excluded/off the balance sheet for a long time. The idea of including them again is a huge change for some as it can increase the company´s liabilities and assets. This can have significant implications in a company´s ability to loan since some financial ratios are used by lenders in assessing whether a customer is qualified to take a new loan. In fact, some companies may even find themselves defaulting on some of their loan agreements if their total liabilities to tangible assets ratio rises unexpectedly beyond what was initially agreed upon. Performance Canvas Financials is a complete and cloud-based financial reporting, financial budgeting, financial forecasting, and financial consolidation software. It integrates with any ERP system seamlessly and it is a software that is designed to make room for accounting standard updates. 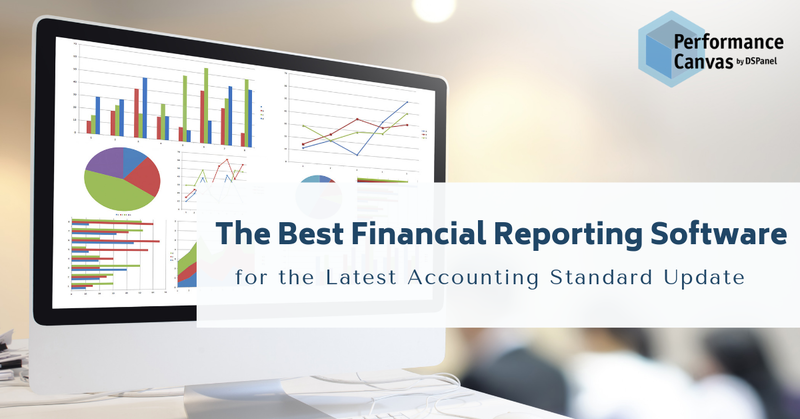 For FASB ASC- 842, this accounting standard update requires that companies must have the ability to forecast their balance sheets and that these forecasted balance sheets are seamlessly linked to their income statements. It is thus, very important for companies that this update be part of the entire budgeting and planning process. Implementing Performance Canvas Financials ensures that a company that needs to roll out this accounting update can do so painlessly. While there is still ample time for some to comply, waiting at the last minute to roll out the changes is never a good idea. Looking at a cloud-based FP&A software like Performance Canvas Financials early gives your company a chance to not only drastically streamline and automate your entire accounting process, you can also be guaranteed you are 100% compliant to new accounting updates. Try out this financial reporting software yourself by taking advantage of our 30-day free trial. Visit www.performancecanvas.com or email info@dspanel.com for more information.